Olympic Realty 2000 Inc. - Homes for Sale in Grays Harbor, Washington - Contact Us - Olympic Realty 2000, Inc. Welcome to Olympic Realty 2000, Inc.
Our priorities are simple - they're yours! Whether Buying Or Selling A Home, Let One Of Our Professional Real Estate Agents Help You! Thank you for visiting our website! We encourage you to look around and use the handy search features, neighborhood information, and community links. Please feel free to contact us if you have any questions about the Grays Harbor real estate market and don't hesitate to let us know how we can serve you better. Thank you for visiting www.gh4sale.com! We are a locally owned real estate company that is focused on customer service. 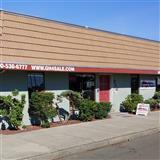 We are here for all your home buying and selling needs in the Grays Harbor area.